Mix soy sauce, sesame oil and garlic; toss with chicken. Refrigerate, covered, at least 1 hour. Spread cream cheese onto a large serving plate; top with sweet-and-sour-sauce, spinach and chicken. 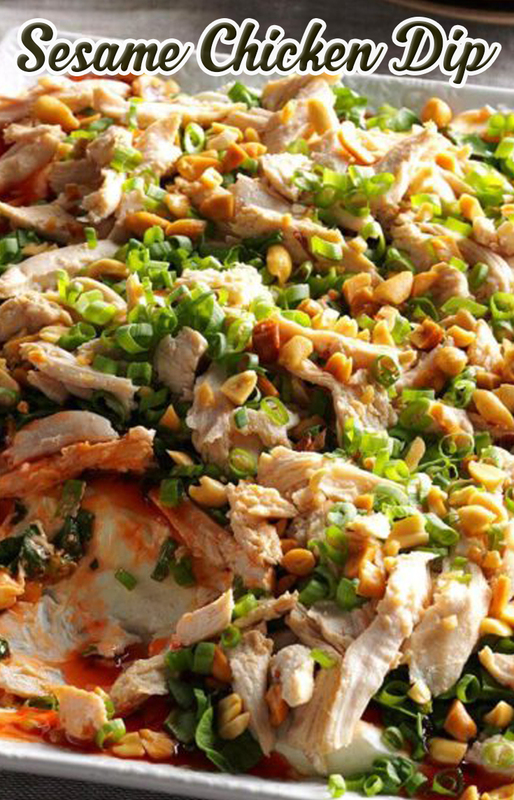 Sprinkle with green onions and peanuts. Refrigerate, covered, at least 2 hours. Serve with crackers.